with Dropped Down Performance rigging, Seat Color Marbled/elk seat. excellent condition. Saddle had dust from sitting so I just cleaned and oiled. I ordered this saddle brand new with extras on it. 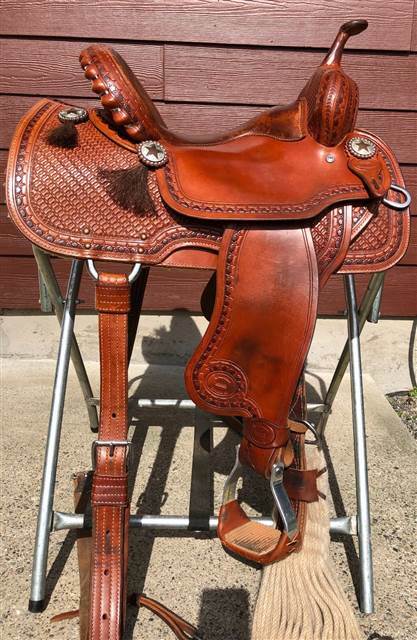 I barley rode in this saddle it is in wonderful condition. It has sat in my bedroom now for many years. Comes with back cinch and 5 star front cinch and crooked stirrups.